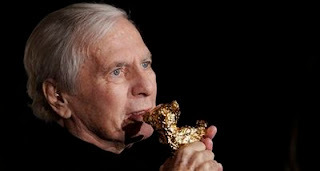 Maurice Jarre, who had a hand in composing numerous Colgems soundtrack scores, has died. This obituary is from Reuters, and was appended by me to highlight his Colgems work. Oscar-winning French composer Maurice Jarre, who wrote the rich, lyrical scores for films including "Doctor Zhivago" and "Lawrence of Arabia," has died in Los Angeles at the age of 84. He composed numerous movie scores for Colgems, including "Lawrence of Arabia," "Night of the Generals," and "The Professionals." 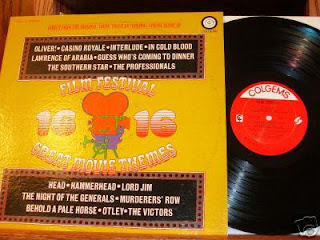 His themes also appeared on the soundtrack compilation "Film Festival: 16 Great Movie Themes." Jarre's music won him Academy Awards for "Doctor Zhivago", "Lawrence of Arabia" and for "A Passage to India," all directed by David Lean. He also worked with directors from Alfred Hitchcock and Luchino Visconti to Peter Weir. "Working with the world's greatest filmmakers, he showed that music is as important as visual image in the success of a film," French President Nicolas Sarkozy said in a statement paying tribute to Jarre, who died over the weekend. "The works to which he contributed so masterfully are part of cinema history forever," he said. Throughout the morning, French radio played extracts from "Lara's Theme," the recurring motif from Doctor Zhivago that became an easy listening classic, as well as the dramatic score to "Lawrence of Arabia." After making a start working on French films in the 1950s, he made his international breakthrough with the score to the 1962 Lean epic "Lawrence of Arabia," [which I might add was the only record to be released on both the Colpix and Colgems labels]. His final award came as recently as last month when he won a special prize from the Berlin Film Festival. "Film composers often are in the shadows of great directors and acting stars," said festival director Dieter Kosslick when he announced the award. "It's different with Maurice Jarre; the music of Doctor Zhivago, like much of his work, is world famous and remains unforgotten in the history of cinema," he said. Maurice Jarre was the father of electronic music pioneer Jean-Michel Jarre. I would like to add that I have found that his soundtrack work truly stands on its own. Not only did his music aid the telling of their respective stories, but they also stood alone from the films they came from as musical masterpieces, able to be listened to separately from their films as works of art. Colgems Mystery: Second Greatest Hits LP? According to a March 21, 2009 Wikipedia entry, Colgems was slated to release a second Monkees greatest hits LP, but the plans were scuttled when the label folded. The Wikipedia entry said that prior to the eventual closing of the Colgems record label in 1971, a test-pressing of another Monkees hits LP — called "Greatest Hits, No. 2" — was planned. Like its predecessor, it contained 14 songs: four of these songs were key album tracks; five songs were issued on both singles and albums; the remaining five selections were previously released only as singles and would have made their album debut on this collection. The entry goes on to say that once again, the Top 40 hits "Words" and "Tapioca Tundra" were overlooked for this compilation. "Porpoise Song (Theme from Head)"
"It's Nice To Be With You"
"Long Title: Do I Have To Do This All Over Again"
This is interesting, because I heard that the soundtrack album for the failed film musical "Lost Horizon" was also originally slated to be a Colgems release too, but again, the Colgems release was shelved when the label went under. Does anyone have any further information about either the Monkees LP or the "Lost Horizon" album, or planned releases from Colgems that never saw the light of day? Well, we have come to this: the final Colgems album that I had yet to post (other than the Monkees LPs). I have finally uploaded it for your listening pleasure. I don't know much about the history of this recording, although it is a compilation of soundtrack tunes from a variety of composers, including Burt Bacharach and Maurice Jarre. It includes music that was on Colgems releases, as well as music that was on its predecessor, Colpix Records. Since it was released in 1969, I assume (perhaps incorrectly) that the label was planning on further re-releases of Colpix material, but for whatever reason (perhaps the sinking fortunes of the label) never got around to it. The star of this outing is Maurice Jarre, who was sort of the in-house soundtrack composer for Colgems. He has no less than four of the album's 16 tunes, including the Main Title From Lawrence of Arabia, where he conducted the London Philharmonic Orchestra. By the way, the Lawrence of Arabia sountrack was the only LP that was released on both the Colpix and Colgems labels. I think that to sum this very rare album up, it shows the diversity of Colgems' soundtrack recordings, from the majesty of Lawrence Arabia to the drugged out Plus Strings from Head to the hipness of The Look of Love from Casino Royale. Yes, it's quite the curiosity. I couldn't even get a good cover photo on this one. Happy Birthday to Colgems alum Micky Dolenz, who turns 64 today. His career, which began when he was a little kid as Micky Braddock on the "Circus Boy" TV series, continues unabated. His next challenge: sharing the bill with Peter Noone and Mark Lindsay on the newest version of the Teen Idols tour, which begins in May. Again, happy birthday to the owner of one of the greatest and most recognizeable pop/rock voices in history! 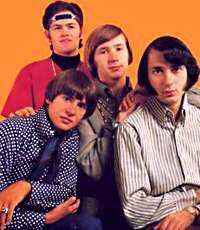 "Peter Tork, former member of the hugely popular 60's pop group The Monkees and current bandleader of blues-rock band Shoe Suede Blues, announced Tuesday that he has recently been diagnosed with a rare form of cancer, Adenoid Cystic Carcinoma. This uncommon and generally slow-growing form of head and neck cancer is most frequently found in the salivary glands but in his case was discovered on the lower region of the tongue. "It's a bad news, good news situation," explains Tork, "It's so rare a combination(on the tongue) that there isn't a lot of experience among the medical community about this particular combination. On the other hand, the type of cancer it is, never mind the location, is somewhat well known, and the prognosis, I'm told, is good." Tork, 67, will undergo extensive surgery Wednesday, March 4 in New York and doctors will follow with a round of radiation treatment. Preliminary findings from a biopsy show that the cancer has not spread beyond the initial site." "For Pete's Sake" let's all wish him well.